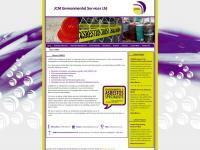 Design experts Robson Bell Media were in the process of updating a website for one of their clients, JCM Environmental Services. In the past, adding new content to the site had not been as straight forward as they would have liked due to its HTML/CSS construction. They decided a CMS was the way forward and approached Vitalatus. While Robson Bell focused on the look and feel of the site, Vitalatus moved the site to the Drupal framework. JCMES now have full control of the site's content. This includes the ability to add new pages, create news articles and upload images, all within a user-friendly, secure interface.